To me, a fan is someone who lives, breathes and bleeds for his team: someone who knows all the stats, the history, the play-by-plays and the drama, and who LOVES every part of it. 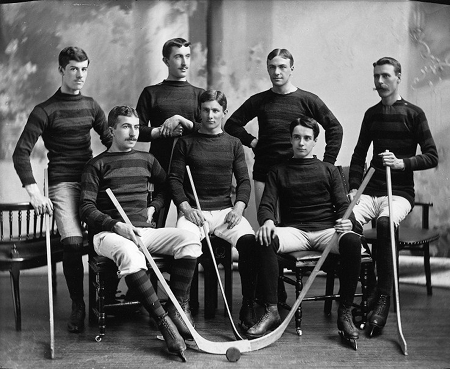 They may follow a team because of a particular player, or because they are the hometown favorites, or because they have a bet riding on the outcome. They might know that their team has no chance of winning, but they feel compelled to watch so that they can commiserate with every other fan that knows exactly the same thing. And – correct me if I’m wrong – it seems to me that once a man (and it is usually men who are the biggest sports fans although I do know a few women who are as passionate about their faves as the guys) picks his team, he remains loyal. Like the hound who always waits by the backdoor (yes, PerceE, I’m writing about you! ), sports fans pick their teams and stick with them. Not too long ago I acquired, from a Swiss poster dealer, a Canadian hockey poster. From a long-ago (and, I think, fairly insignificant) tournament held in British Columbia, the poster features three players against a fairly psychedelic background of screaming orange. It’s an acquired taste, but for a girl who grew up in a hockey town, I gotta say, this poster makes quite a statement. 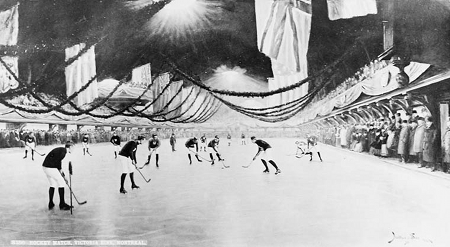 It’s attractive, it’s masculine, its vintage, and it’s hockey: more perfect than that, in Montreal, is fairly impossible. 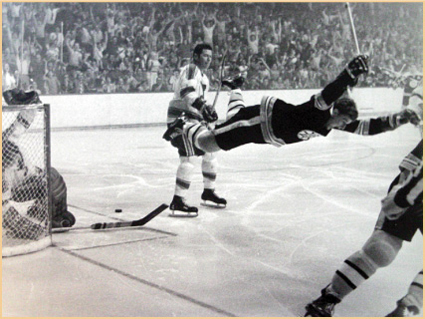 Bobby Orr Scoring the Stanley Cup Winning Goal! 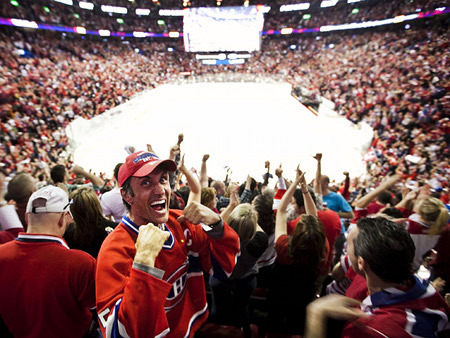 No matter how well (or, in a year like this, how poorly) the Canadiens are playing, Montreal is – and will always be a hockey town. We bleed blue, red and white… or, as most Montrealers might say – bleu, blanc, rouge… There is a scene in Monsieur Lazare, our contender for best foreign film at this year’s Oscars, where the lead character is walking home, in winter, in Montreal. He passes children playing at one of the city’s ubiquitous outdoor hockey rinks which magically appear each December and disappear just as quickly every April. He looks in semi-wonder at a pick-up game of hockey, clearly trying to understand the game and its attractions. But some things just can’t be explained – like Montreal and hockey, Phil Esposito and his distinctive goalie mask and hideous playoff season beards…. Next What do the Tour de France, the Giro D’Italia and a Gladiator have in common?